Richard Mosdell モズデル・リチャード: We Love Japan! This is the greatest time in history when so many people around the world are actively thinking and caring about Japan. 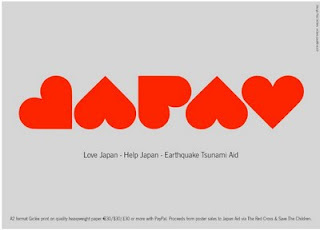 Around the world many stores, restaurants, schools, rock bands, manga/anime clubs, senior citizens groups and even karate clubs who are raising money for the Japan relief efforts. For example, I received a message from the Karate Canada president that the federation had raised some $4000 Cdn during the Canadian National Championships last month!